Game narrative is usually quite different from the kind you would find in films or books. The point which sets it apart is that it is an interactive medium and not passive, this sets new challenges in finding ways to provide an interesting and engaging story while still not sacrificing the immersive quality of games. Still unlike films or books, methods of game narrative have not been defined as strictly, there is a large area of experimentation occurring in games where different approaches to narratives have been explored. Most concepts of game story have originated from studies of other forms of media. The three act structure that I talked about in my last post is one example of a concept taken from books and films adopted for games, Donkey Kong was the first video game to use it effectively with a definitive beginning, middle and end. Also a lot of older games, RPGs in particular borrowed a lot of elements from table top board games and live action role playing games. Concepts like 'Quests' and alternate narrative stemmed from the these mediums as with board games and live action role playing there are a number of factors which continuously influence the ongoing narrative, this is also where side-quests or side-missions come from as a way to give the player more freedom in forging their own narrative by giving them the option to do certain tasks. Non playable characters are another feature carried over from traditional RPGs, these were utilised in console RPGs like Final Fantasy where NPCs could be interacted with to further plot, get sidequests or to get items through shop systems. 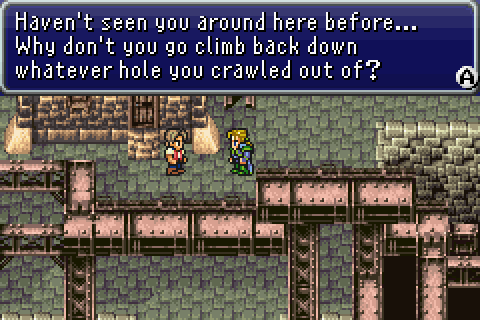 NPCs are now almost a necessity for most games with narrative elements , even for the most simple of games. One approach used by Quantic Dream games in particular is the adoption of more cinematic story elements in order to forward story. The gameplay is driven forward by on screen prompts (more commonly known as QTEs) with more of a focus on the dynamics between the characters. The pros of this method is the story is well paced and there is a great dynamic between characters, however forced actions and pacing can hinder the adventurous aspect that can only be found in games. At the other end of the spectrum open world games use a less restrained form of storytelling. Games like Skyrim and Grand Theft Auto have a main story that the player can choose to follow but can go off and do their own thing, creating a new and unique narrative. This lends well to letting the player create their own sense of narrative pacing, tension and achievement as their aspire to do their own tasks in the game. This method though downplays intimate character interaction as used by more structured games. How does all this relate to game art? Game narrative is best told through meanings, interactions and feeling rather than through exposition, this is because a game has to be experienced and one way to push that is through using composition, colour and form. A moody atmosphere can communicate ideas a lot more than a piece of descriptive text can, a picture says more than a thousand words after all. An example of storytelling through visuals can be found in The Last Of Us which places the player in a post-apocalyptic United States setting. The game environment contains loads of little details which contribute to the narrative; overgrown and littered streets filled with abandoned cars, empty buildings with walls covered with damp and city alleyways that hide looted bodies. All of these details help sell the world to the player, helping to create a more immersive experience. 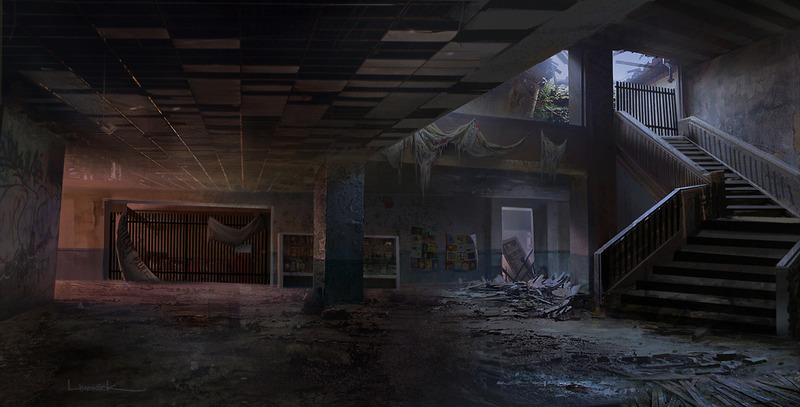 Environment concept art from The Last Of Us, even from this image you can imagine a story from it. The peeling wallpaper, dirt and rubble add to the aged look and mystery of this building. These details are a form of world building, the idea is that they can communicate backstory of the game's characters or world without directly mentioning it in text or speech. This also expands to include extra back story material This is a technique used a lot more in modern games where players can seek out extra backstory by reading books, documents or other voice bites dotted around in the level, this also acts as a way to reward players who explore the world more. 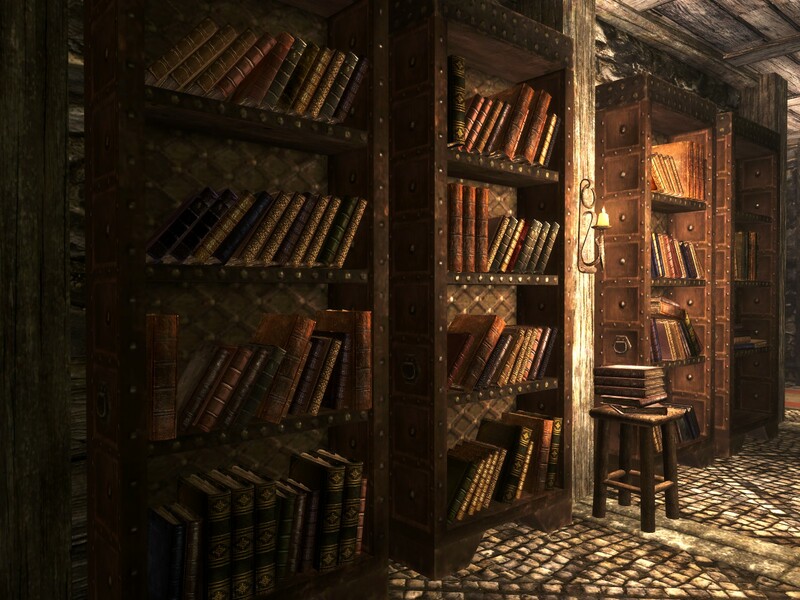 Bethesda's Elder Scrolls V: Skyrim used books and NPCs to provide additional narrative material to flesh out the world even further. This type of world building can be found in games like Bioshock, Portal, Mass Effect among countless others. That's it for now about game story, in my next post I will put everything together in a collective blog, referenced and a bit more structured with some more in depth studies of some of the games I have mentioned. James Broderick (C) All rights reserved.. Powered by Blogger.